Something a little different this time. A few weeks ago I got to reconnect with a friend from my days in Cub Scouts. His band was playing at the Arlington Music Hall. Opening in 1950 as a movie theatre, the feature film ‘Sea Biscuit’ starring Shirley Temple. Today the marquee sign of the old theater is a tribute to the building’s past. The theatre was converted into a music hall in 1994 to host Johnnie High’s Country Music Revue. This was a weekly variety show to showcase local talent. Over the years, Johnnie High’s Country Music Revue opened the door for many famous people such as LeAnn Rimes, Lee Ann Womack, Shoji Tabuchi, Blake Shelton, Gary Morris, Box Car Willie, Wanda Jackson, Kitty Wells, and many others. The revue ran for 31 years. The music hall was purchased and renovated in 2009 by a local developer. This played a significant role to continue its history and the revitalization of Downtown Arlington, Texas. Between 2009 and 2015 The Arlington Music hall hosted legends like Willie Nelson and Loretta Lynn. In 2015 the hall once again changed owners. Renovations in 2015 created a comfortable fantastic venue that exists today. 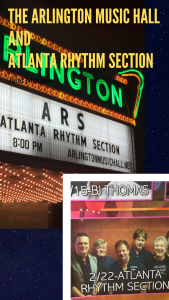 Now a non-profit 501c3 promotes concerts and brings the top artist to Arlington year-round. The music hall has gone all out to make these shows an experience for all. They have a small concession stand and a bar serving anything from nachos to cocktails. I really enjoyed my Nowhere but Texas American Lager from Legal Draft Beer company, this is a brewery local to Arlington. 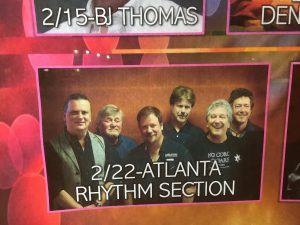 The band I was there to listen to and hang out with was Atlanta Rhythm SectionAtlanta Rhythm Section. This band has been around the Southern Rock scene for nearly 50 years. If you were in the South you know the songs So into You, Champagne Jam, Imaginary Lover and Spooky. These songs really made up part of the soundtrack of my youth. 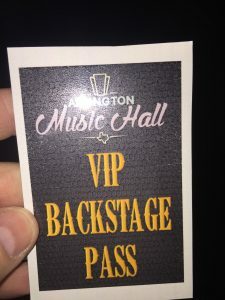 A big thanks to Dave for hooking me up with the VIP pass. 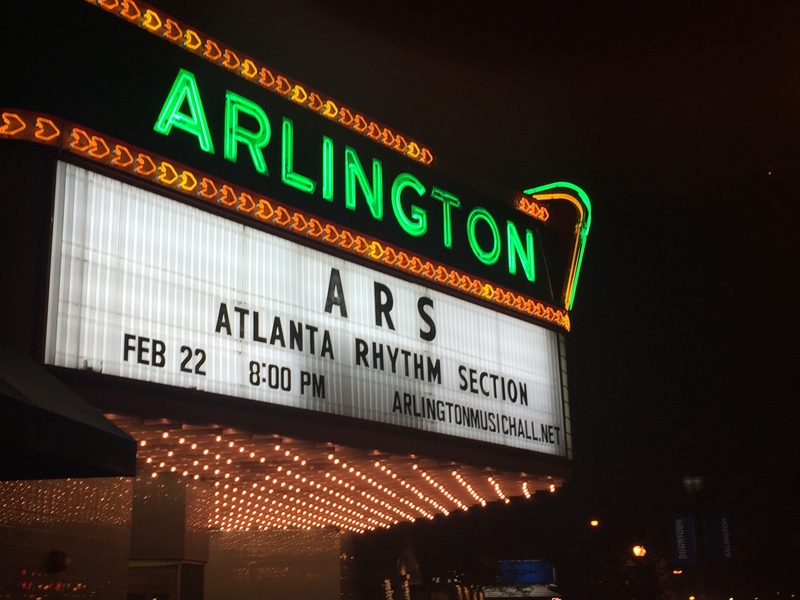 ARS produced 15 albums of excellent original material and put on entertaining live shows. This a broad if not huge fan base. They had some big hits and have been a major player in the Southern Rock scene. ARS was paired with contemporaries Lynyrd Skynyrd as the successors to the Allman Brothers to carry the mantle of “Southern Rock”. Often described as the more radio-friendly version of Lynard Skynrd. 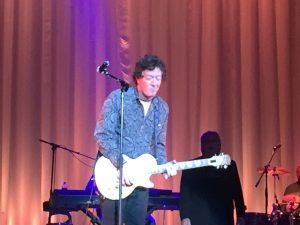 Additionally, some of country-rock’s biggest names have gone on to record Atlanta Rhythm Section covers — Travis Tritt, Wynonna Judd, and Charlie Daniels, among others. That is where Dave comes in. We always know in high school Dave was a fantastic guitar player, and the other night in Arlington really proved that again. Dave wowed the audience with spectacular solos. This was the first rock music show I have been to since 1991 or so and it reminded me of the joy a person can get from being with others listening to good music. If you are in Arlington, TX check out the Music Halls calendar and go to show and you need to hear and see ARS play. ARS music is making still music the way it is meant to be played. put on the list next time I’m in Texas. Thanks! Christina, please do share it. I would really appreciate that!